The penultimate episode of The Musketeers opened up with King Louis (Ryan Gage) swordfighting in the Palace gardens with Minister Treville (Hugo Speer). 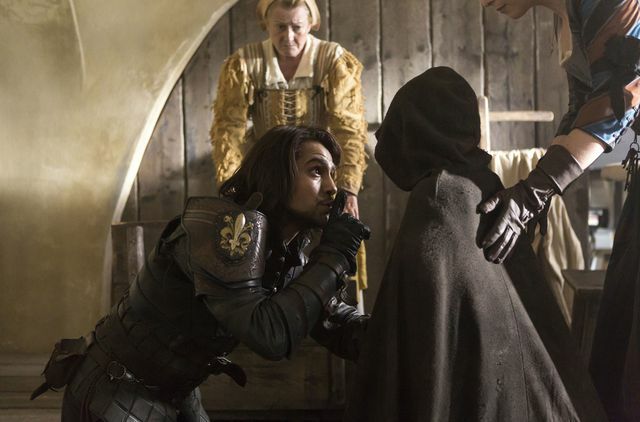 When Treville pretended he was too tired to continue, Louis offered to take on D’Artagnan (Luke Pasqualino) instead but he claimed his hand was injured. As the pair walked off from Louis he began to cough terribly. He brought up blood and turned white as a sheet before falling to the ground. 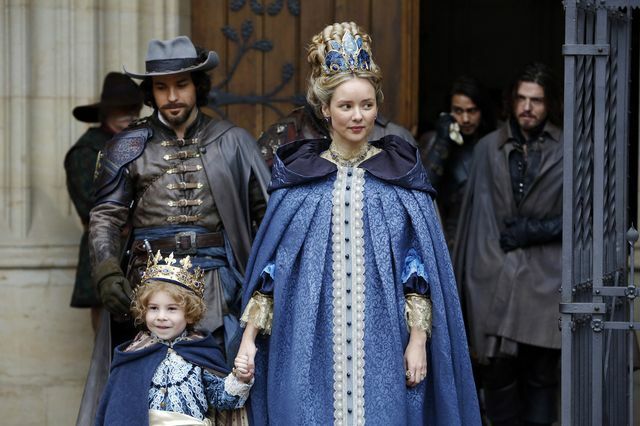 D’Artagnan and Treville rushed to his aid as did Queen Anne (Alexandra Dowling). As the Queen held him in her arms his life slipped away. 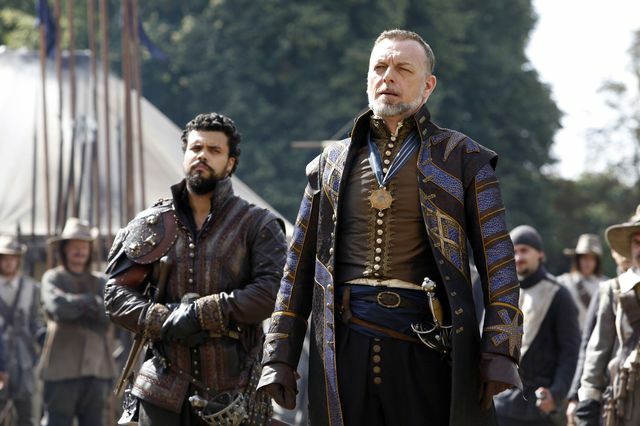 Treville knew they needed to get the Dauphin, now the King, safe. 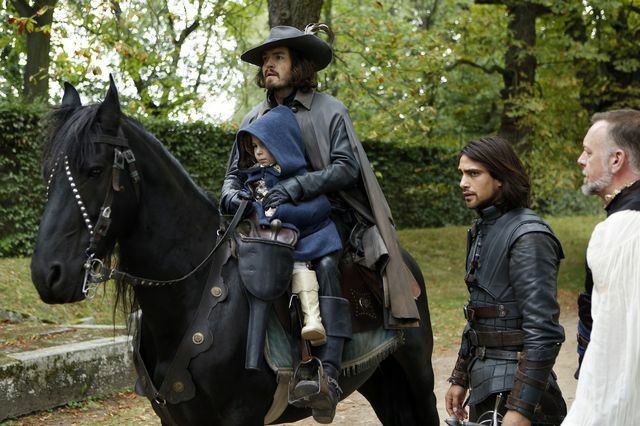 He sent D’Artagnan to find Athos (Tom Burke) while he rushed to safeguard the new King. Once Athos arrived he ordered him to take the King and hide him in the city. He suggested he involve only those he trust and to leave Aramis (Santiago Cabrera) out. The King’s body was placed in his bed and the Queen sat with him and promised that she would look after their son. 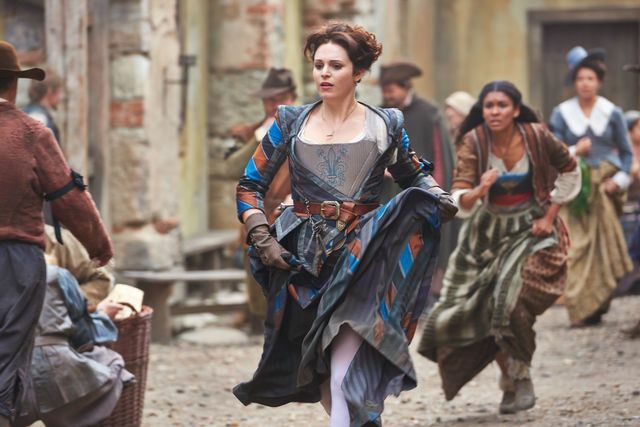 She then went looking for the boy and was angry when Treville told her what he had done. He said it was for France and to protect him as the Duke of Lorraine’s (Robert Glenister) army was soon to march on Paris. On the outskirts of Paris, Gaston (Andre Flynn) and the Duke of Lorraine gathered their forces in preparation to take the throne by force. 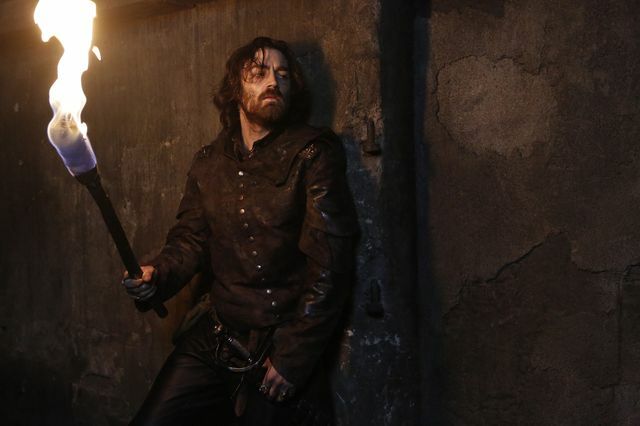 As Grimaud (Matthew McNulty) watched on, Gaston reminded the Duke that their plan wouldn’t have been possible without Grimaud’s help. Aramis and Porthos (Howard Charles) prepared to ride for the Palace. 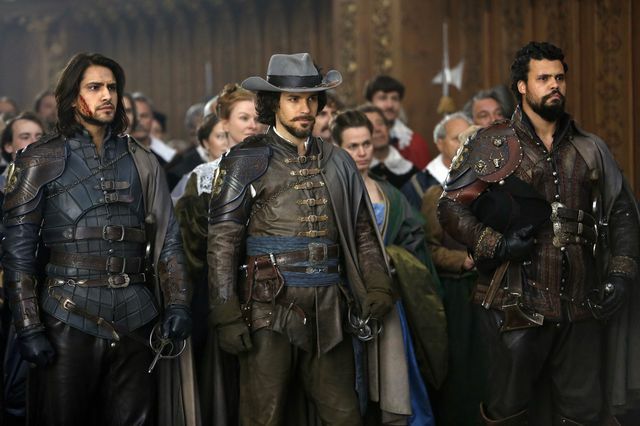 Aramis wanted to make sure the Queen and new King were safe but Porthos felt they should be worrying about their enemies. 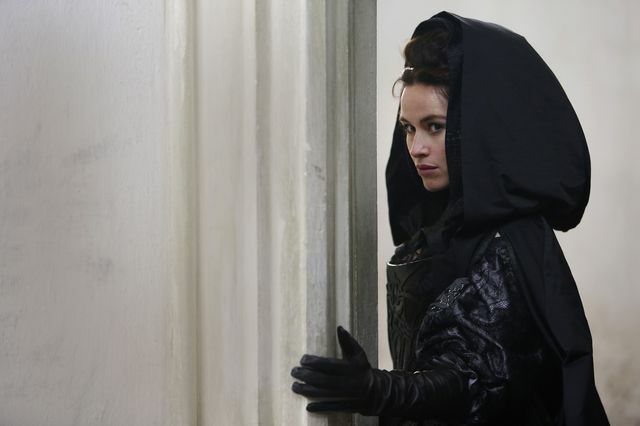 After they left, Athos called Constance (Tamla Kari) to him and told her about the plan to keep the King safe. Athos checked on Sylvie (Thalissa Teixeira) and commented that she looked a lot better after her ordeal. He decided to let her in on the plan and she and Constance helped with the King. They dirtied his face and looked for more normal clothes while deciding where best to hide him. They eventually took him to an unused building. Meanwhile at the Palace, the formal reading of the King’s will began. The first topic was that the King had secretly revoked the Queen as Regent. Treville was outraged as he had no idea about the change. Instead, Louis had decided that Treville should be Regent due to the war with Spain and the fact that he was a soldier and most trusted friend. 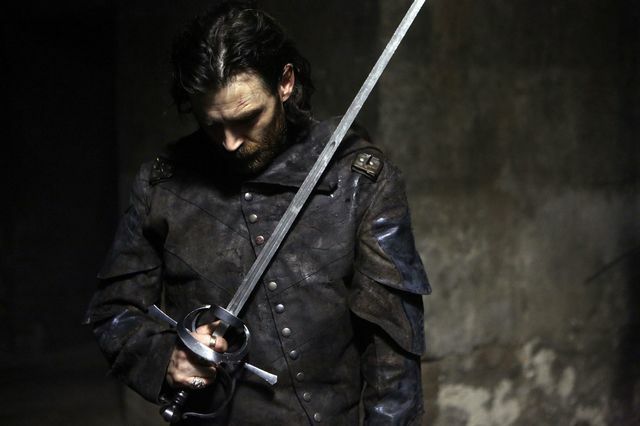 His first order of business was for the Musketeers to deliver a message to Marcheaux (Matt Stokoe). Treville had decided to disband the Red Guard as he felt they weren’t loyal to France. He also knew of Marcheaux’s involvement with Grimaud. They delivered the message which infuriated Marcheaux and he ordered his guards to attack. The Musketeers fought them off and Marcheaux threatened them all as he left. Athos then joined his men who inquired where he had been but he didn’t tell them. Treville and the Council summoned the Queen back to sign a document to pardon Gaston. They were hoping doing so would see him leave the Duke’s army. Treville tasked Porthos and Aramis with delivering the document to the Duke. While there they could gauge the strength of the approaching army. He also asked for a young boy to be found to stand in as a decoy for the new King. Aramis requested to see the Queen but Treville refused him. After delivering the letter Gaston agreed to go back to the Palace with them. The Duke and Grimaud disagreed with Gaston but he felt it could benefit their plans. There he met with Treville who explained he wanted France united and he offered him a Palace and generous stipend. Treville then set out to talk peace with the Duke. Sylvie and Constance tidied the building up where they had taken the new King. As they finished on his new bedroom he managed to open a window and climb out. He went to a nearby fruit stall and began helping himself, like he would at the Palace. Constance and Sylvie rushed out to find him when they noticed he had gone. Constance found him and tried to pay for the fruit but the seller wanted him arrested and alerted the Red Guard. Treville used the decoy to trick Gaston into thinking the King had been taken to safety out of Paris. Aramis went to see the Queen and offered his condolences. He told her the plan seemed to be working and she asked about the whereabouts of their son. Aramis told her truthfully that he didn’t know. He then went and pushed Athos for the location of the King but he refused to tell him. In negotiations with the Duke, Treville offered him Lorraine’s lands and independence back in return for standing his army down. Treville told him to end his alliance with Gaston and gave him until dusk to consider the offer. Outside Porthos taunted Grimaud that Lorraine no longer needed him. Grimaud replied that they needed his gold. Gaston returned to Lorraine and demanded they march on Paris but the Duke said he was not ready. Grimaud realised what Treville was up to and tasked Marcheaux with finding the new King. He suggested that following the Musketeers would lead them to him. Constance and Sylvie moved to a new location of Constance’s old home. There they settled the new King into D’Artagnan’s old bed. Constance then went to tell Athos of the new location. Instead she found the Queen waiting for her demanding to see her son. Constance agreed to take him for prayers and told the Queen the location she could observe him. Marcheaux learned the location of the church and arrived with his men. 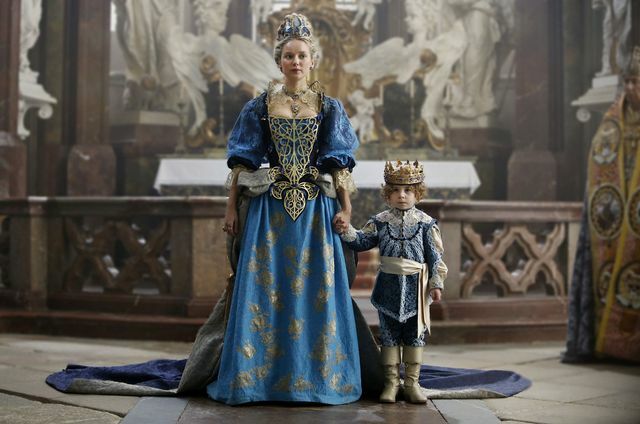 He punched Constance in the face as the Queen watched in horror as they took her son. Fortunately Aramis arrived in time, thanks to a warning from Sylvie, and managed to fight them and rescue the King. The Queen thanked Aramis and Constance decided to take the King to a laundry she knew. There D’Artagnan came and helped to hide the King. Treville had Porthos make a bigger offer to Gaston of 10 million livres and joint control of the army. Meanwhile he got the Duke to pull his army further back. Grimaud argued with Marcheaux for losing the King and ordered him to search every house to find him. Grimaud and his men came across the laundry where they were hiding. He was about to leave when he noticed the woman in charge sighing with relief. A second search found the King and Grimaud wounded D’Artagnan. Treville made an agreement with the Duke as he kept his word and withdrew his troops. 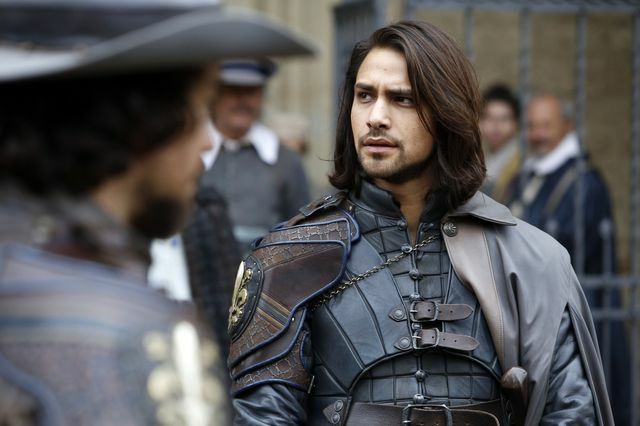 Gaston burst in to accept the offer Porthos made him but Treville said he knew nothing of it. As the Duke signed his agreement, Grimaud arrived with D’Artagnan and the King. Grimaud killed the Duke for betraying him. 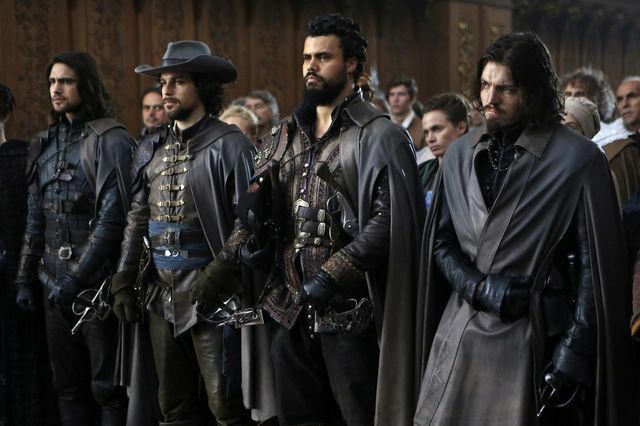 Suddenly Treville, Porthos and D’Artagnan burst into life and fought the guards. Treville fled with the King but was shot in the back. 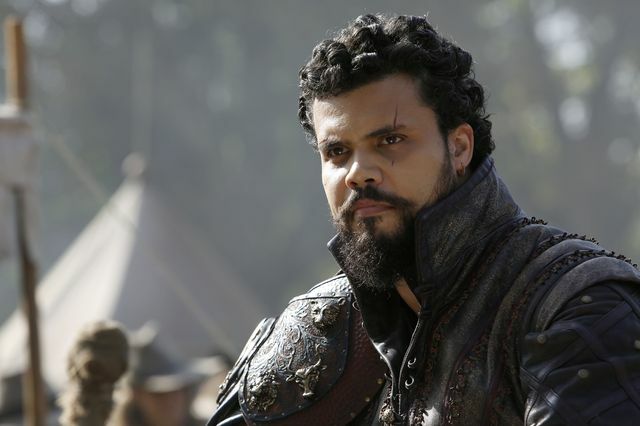 He managed to pass him to Porthos who was on horseback and ordered him to get the King to safety. Porthos passed him a pistol and rode away. Treville turned, shot two men dead and killed another with the throw of a dagger. 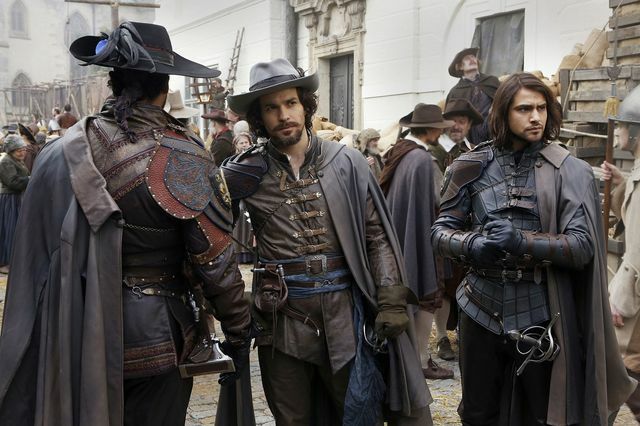 As Athos, Aramis and D’Artagnan arrived on the scene he was shot again. They fought their way towards him but were too late and Treville was shot again by Grimaud who then fled. At the end of the episode, Treville died with his Musketeers by his side. The final episode is We are the Garrison. In the wake of a devastating tragedy, Grimaud declares war on the Musketeers, starting with the people they love. Still blinded by grief, will the Musketeers see him coming before it’s too late? 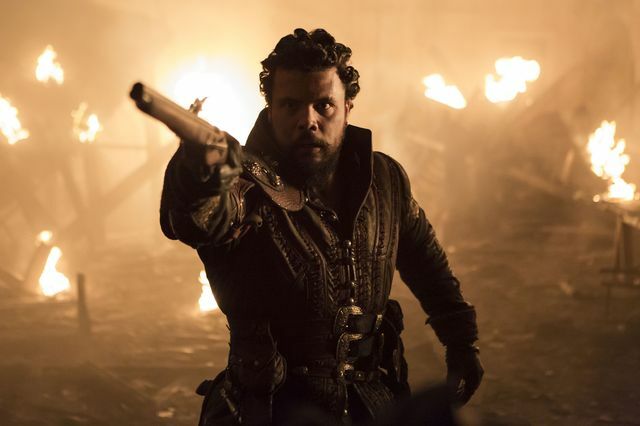 With personal stakes at an all-time high, the Musketeers and their supporters must fight to defend a city on the brink of destruction against their most relentless enemy yet. The battle takes them to the depths of Paris, where Grimaud tests Athos’s resolve to the limit.